Let’s Pledge To Live In Peace & Harmony On International Yoga Dayll. The story of \"Incredible India\" added a new chapter in its list of achievements on December 11, 2014 when the United Nations General Assembly declared June 21 as the International Yoga Day. The story of "Incredible India" added a new chapter in its list of achievements on December 11, 2014 when the United Nations General Assembly declared June 21 as the International Yoga Day. This was announced after PM Narendra Modi called for its adoption during his address to the UN General Assembly on September 27, 2014. This was indeed a great development, as an ancient Indian tradition was finally given an official recognition for its role in promoting health and harmony. pocketnewsalert.com has always espoused the benefits of yoga and strongly supported its global recognition. 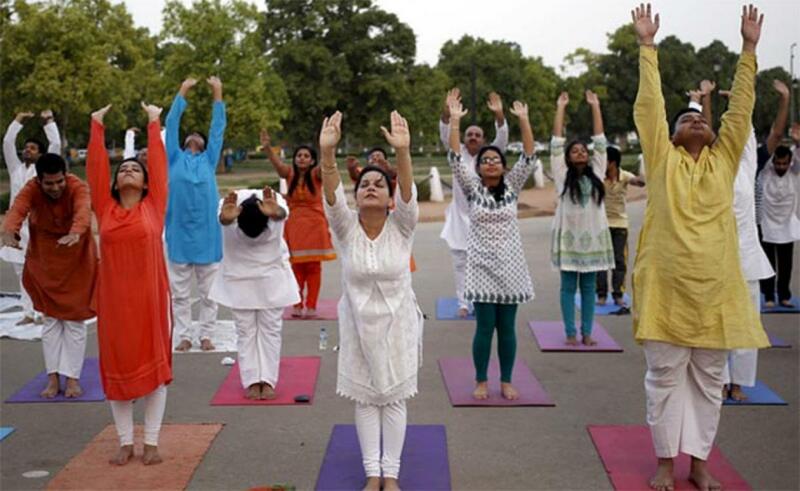 It regularly hosts yoga sessions for its staff and also sponsors various events that seek to spread awareness about this ancient system of wellbeing, which is absolutely free and does not require anything more than may be a yoga mat. On the eve of the International Yoga Day 2015, pocketnewsalert.com is conducting a 2 hour yoga session for its staff and other stakeholders as well as using its online channel to spread awareness about the merits of holistic wellbeing that can be achieved through the regular practice of Yoga. The global recognition and spread of Yoga comes at a time when the world and its beings are facing phenomenal challenges such as poverty, disease, extreme violence and environmental degradation. One common reason to blame is the growing disconnect among individuals, as everyone seeks to define life's purpose through the lens of monetary success and selfish pursuits. The inability to identify and respect each other's needs has come across as the primary cause for the growing inequality among citizens and nations, which eventually has brought us to the edge of our potential destruction. It may be destiny that when the world is at the brink of a potential catastrophe, yoga will be there to act as the healing balm and save humanity. Yoga has the seeds that can inspire us to experience the oneness with which we are born and supposed to live. By enabling the unity of mind and body, Yoga prepares the ground for a life of harmony and fulfillment, something that can be sustained throughout our entire lives. It is a lot more than just a form of exercise; rather it’s a complete lifestyle shift where we move away from selfish pursuits towards broader goals that are in line with global sustainability. Yoga was created around the concept of peace and harmony, something that the world needs urgently, especially if we ever are going to overcome the critical challenges that we are currently facing. It’sheartening to see that more and more people are embracing Yoga as a way of life. A number of national and international celebrities have personally vouched for the immense benefits it offers for the mind, body and soul. The Indian Government is also strongly supporting the cause of Yoga, and doing its bit to spread awareness among educational institutions, healthcare organizations, various citizen groups, and government bodies. www.pocketnewsalert.com urges its readers to try yoga and experience the immense benefits it offers. It's not just about its Indian origins;it’s more about a way of life that seeks to promote peace &harmony and the experience of being one with every other thing and being in the universe. Such an evolved consciousness would be something to aspire for on the International Yoga Day 2015.